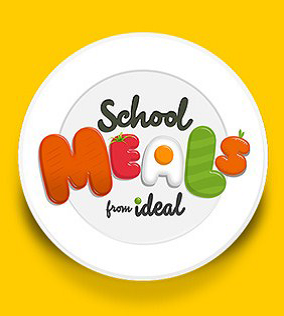 Our new hot lunch provider is Ideal Meals, please see their website www.schoolmealsonline.co.uk. All meals are guaranteed to be nutritious and balanced. They are low in salt, sugar and saturated fat. They offer a fun and social way of eating and help to improve concentration in class. They can even save you time and money. Our meals can be ordered by registering at www.schoolmealsonline.co.uk. The deadline for meal orders for the following week will be each Monday at midnight. If you have any queries please contact Mrs McCormack or Ideal Meals on 01522 246424. Alternatively email admin@schoolmealsonline.co.uk. The menus for Term 4 are attached towards the bottom of this page. Once again there are 5 main menu choices followed by a choice of pudding or yoghurt or fruit. The menus for Term 3 are attached towards the bottom of this page. Once again there are 5 main menu choices followed by a choice of pudding or yoghurt or fruit. Application forms are also available in school. All children in EYFS and KS1 have fruit provided for them to eat at morning playtimes so do not need to bring a snack to school. KS2 children may bring a small healthy snack: either a piece of fruit, chopped up vegetables or dried fruit if they wish. In order that children understand variety is acceptable and all things in moderation is a wise man-tra, all pupils may bring a "treat" on Friday; for example a little packet of crisps, fun size chocolate bar, a biscuit or a few sweets in a pot or one small packet . If more than a modest treat is brought teachers will ration the amount allowed and return any excess to take home. May we remind parents that all children should have a labelled bottle in their classroom with plain water. The bottles should be taken home daily to ensure they are washed regularly at home. Children are not allowed flavoured water in the classroom due to sticky spillages and plain water is healthier for their teeth too. Although some children claim they don’t like water, we have found with positive support we can encourage and persuade children to drink it happily. Please come and talk to us if your child may need support. Milk is also available in school , please ask at the office if you would like to find out how to order direct from our supplier.